Due to the high cost of shipping, there is a minimum order requirement of 66 pieces. You will earn 2 WayPoints for each product that you purchase. 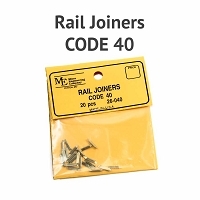 Micro Engineering code 40 non-weathered rail is recommended for use in all Fast Tracks assembly fixtures and hand laid track in general. The rail is very precisely made from nickel silver and can be easily soldered. Each piece is 36" long. 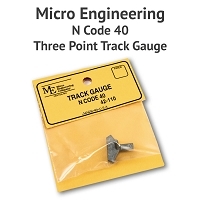 Micro Engineering rail is precision rolled and maintains very tight base and head width tolerances (+/- .001"). These precise tolerances ensure that the rail is held precisely in gauge when a Fast Tracks assembly fixture is used to build a turnout. 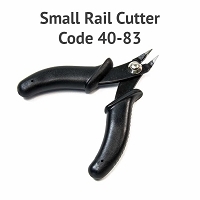 Due to the cost of shipping and handling 36" rail, a minimum order quantity of 66 pieces is required. 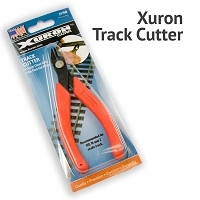 66 pieces of 36" rail is enough to lay 99 linear feet of track at two 36" pieces per 3 linear feet. 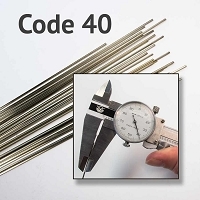 Depending on what items were ordered along with 36" long rail, it may need to be shipped in a separate, oversized box which could incur additional shipping costs. 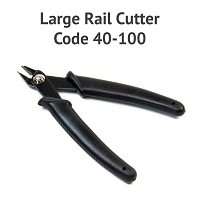 As our online shipping calculator is unable to accurately calculate shipping costs for oversized boxes, we may contact you with the additional cost to ship 36" rail. Additional shipping costs can range from $15.00 to $50.00 depending on the destination. If at all possible, please order 18" long rail as in addition to no additional shipping costs, there are no minimums and quantity discounts are available.